In 1914, New Yorker Willard Brinton wrote Graphic Methods for Presenting Facts, the first book on telling stories through data and communicating information visually. Today, the volume of data in the world is exponentially increasing, the tools to transform analysis into stories are evolving—and 100 years later, Brinton’s lessons still hold true. 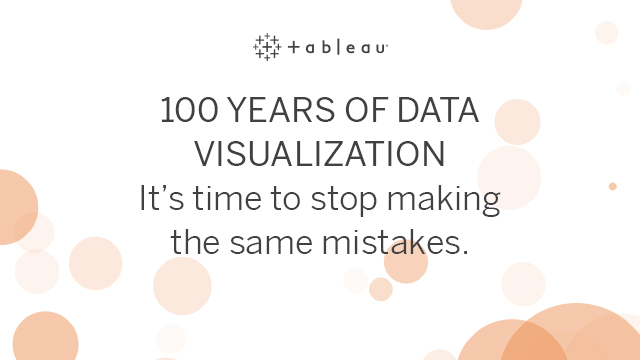 Join Andy Cotgreave, Senior Technical Evangelist Manager at Tableau Software, for a 100 year flashback into the best practices that still shape effective storytelling through visual analytics.